Discussion in 'Price Drops, Must-Have Freebies, and Deals' started by Based Xatu, Mar 27, 2015. 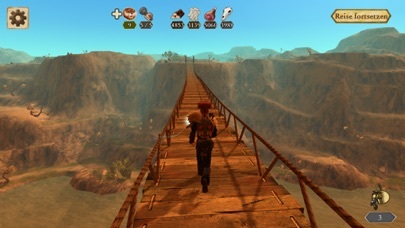 "Live the Indian dream in 3D, join a tribe, challenge other players worldwide and rise through their ranks. 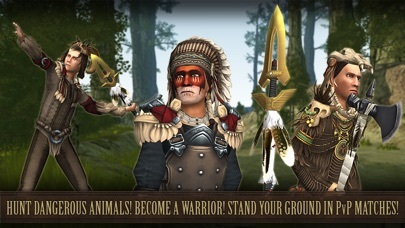 Become a chief! "Be Red Cloud!" 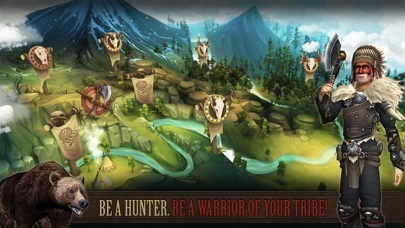 Hunt dangerous animals, like pumas or mighty grizzlies, gather resources and craft new and powerful weapons. 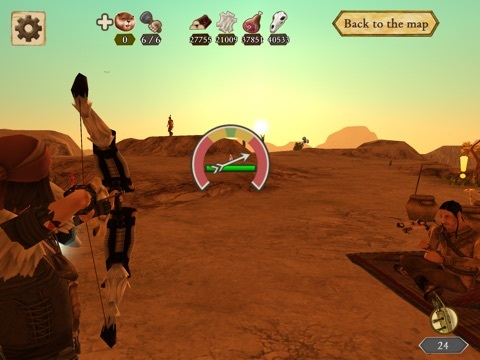 Challenge other players worldwide in multiplayer mode and compete with them in sneaking, tracking and hunting. Become the best Indian the world has seen - "Be Red Cloud"
Be Red Cloud is completely free - Some content, like beaver skins, can only be bought with real money. This game requires at least 1GB memory (iPhone 5 or higher, or iPad 3 or higher). 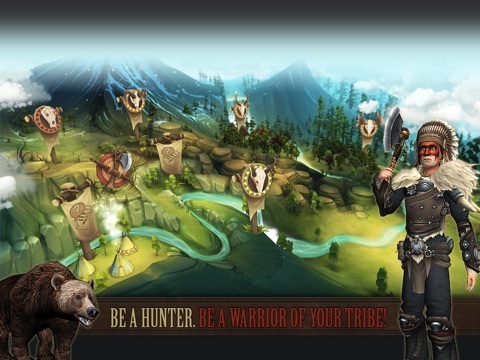 * Join one of 3 tribes - Lakota Sioux, Comanche or Pawnee, become the best of your tribe! * Customize your favorite Indian with over 130 clothes"
isn't this one of those apps that goes free every other week since it was released? any thoughts on the game - from those that have tried it? I already tried it and IMO it's a great game. The beautiful 3D graphics, large terrains and the atmosphere with dynamic weather and daylight make this game to my personal favorite. 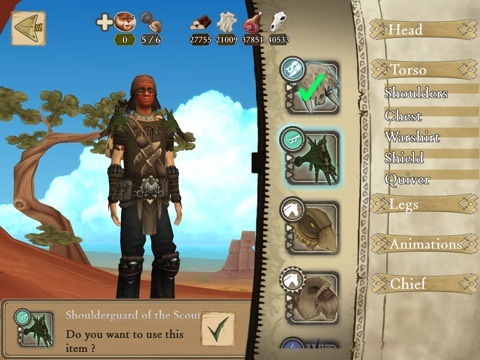 I really like to freely explore the different regions, hunt many different animals, harvest resources to buy new items and clothes, to individualise my avatar or to upgrade my weapons. The multiplayer mode of course is fun as well and provides a great long term motivation besides the single player mission levels. You can challenge other players online on the 'rock, paper, scissors' concept in every one of the 12 mission levels. 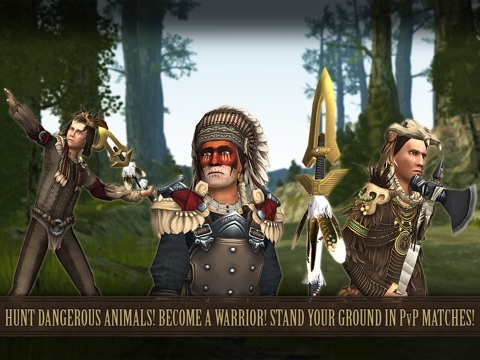 There your reached points in the particular level, the amount of your resources, upgrade stages of your weapons and other figures are compared to your opponent's values. With every victory you win resources from your opponent as well as you climb up in the rankings. But i mean, as the game is completely free, i think it's not the worst thing to support the developers. Hangs on opening screen on iPad Air 2 w newest iOS. Hi Habakuk, we're sorry that you have that issue with our game. Would you mind sending us an email to info@scorpius-forge.de with a short description of your issue, so we can reproduce the problem? We'll try to fix it as soon as possible. by "we" do you mean you and TouchWarrior? Yep, that's EXACTLY what i meant! But apart from joking I just said that my impression of the game is pretty good. But thats my opinion and it hasn't to be yours as well, SolipSystem. 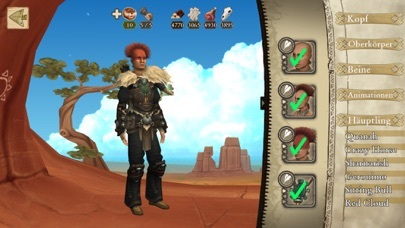 While i like the simplicity of controlling my avatar, i don't really get used to your system of hunting animals. So while you're waiting for the aiming circle to become green and then trying to hit the rotating arrow properly most of the animals have long run away or predators like the puma have attacked you. In addition to that it's pretty hard to select animals on smaller screens. To me hunting controls are just too static and don't fit to this kind of game. Another point you should consider to overhaul is balancing of the multiplayer mode, where you can challenge other players. While competing values like your level scores in the missions or upgrade stages of your weapons make sense, comparing amount of your resources doesn't make one to me. 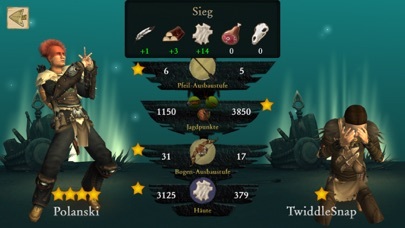 If you're not lucky and the chosen values are 2 to 3 times comparisons of resources values, you might lose the challenge, whereas you got better level scores, better weapons and so on. More quests please!! Exploring the beautiful levels and hunting animals is nice, but aside from that and harvesting resources there is not much left you can do there. I know therefore you have the mission levels and since your update the new daily and weekly quests which are appreciated! But nevertheless i would love to get more things i can do in the regions. Still like and play your game very much, but on some points you definitely should tweak it bit further.